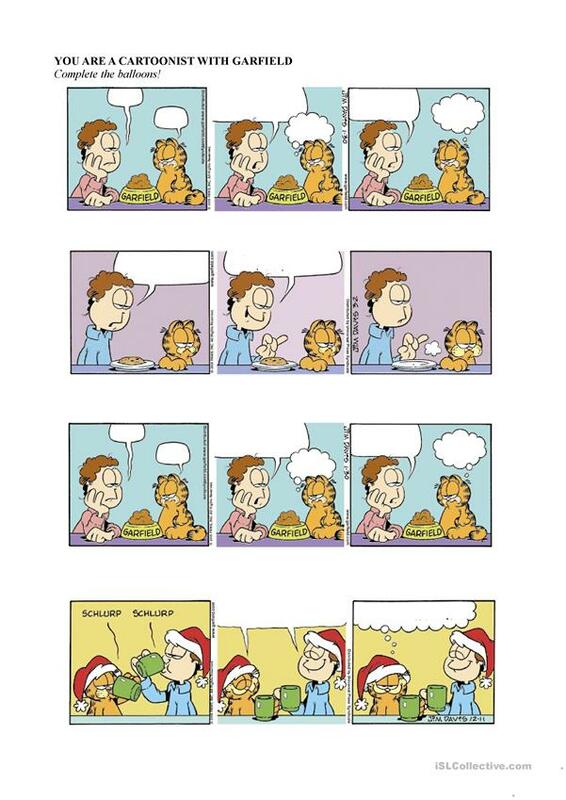 Kids and teenagers can play as cartoonists, completing the Garfield comic with balloons left blank! This printable, downloadable handout is intended for high school students and elementary school students at Elementary (A1), Pre-intermediate (A2) and Intermediate (B1) level. It is a valuable material for improving your pupils' Writing skills. kaede is from/lives in Italy and has been a member of iSLCollective since 2011-08-01 13:47:00. kaede last logged in on 2016-04-08 21:23:00, and has shared 8 resources on iSLCollective so far.